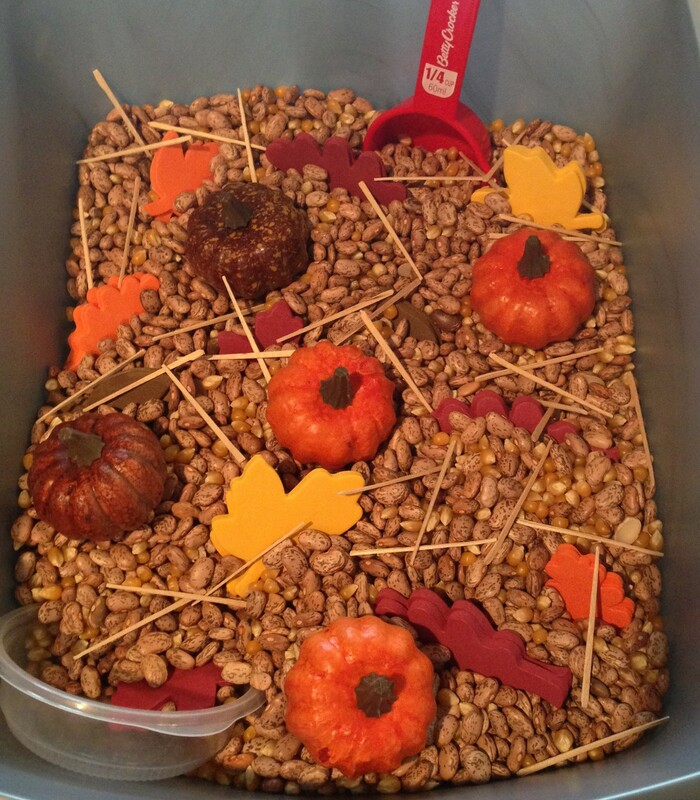 In continuation of our week of autumn, here’s what I threw together for Becca this week: dry beans, old popcorn kernels, foam leaf stickers (I peeled the backs off and stuck them together), play pumpkins from Dollar tree, and flat toothpicks. Of course I also gave her her favorite scoop, and a little bowl as well. She really doesn’t like the toothpicks at all. So I keep presenting them in different ways so that she’ll have the textural experience. 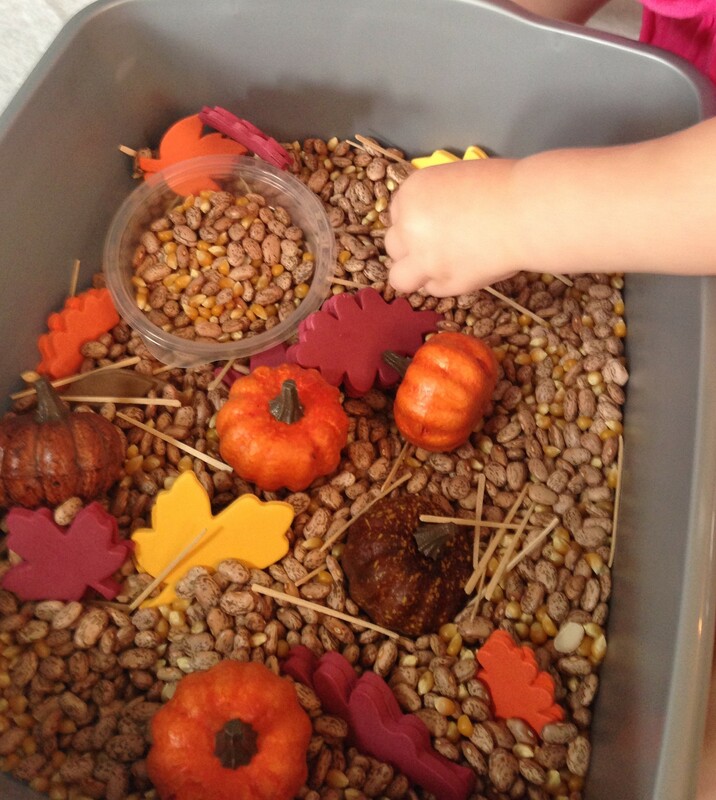 She likes the pumpkins and the leaves and digging her hands in the beans. At one point, she started sorting the corn kernels from the beans. Ever the OCD… not too fond of things mixed together. HA! 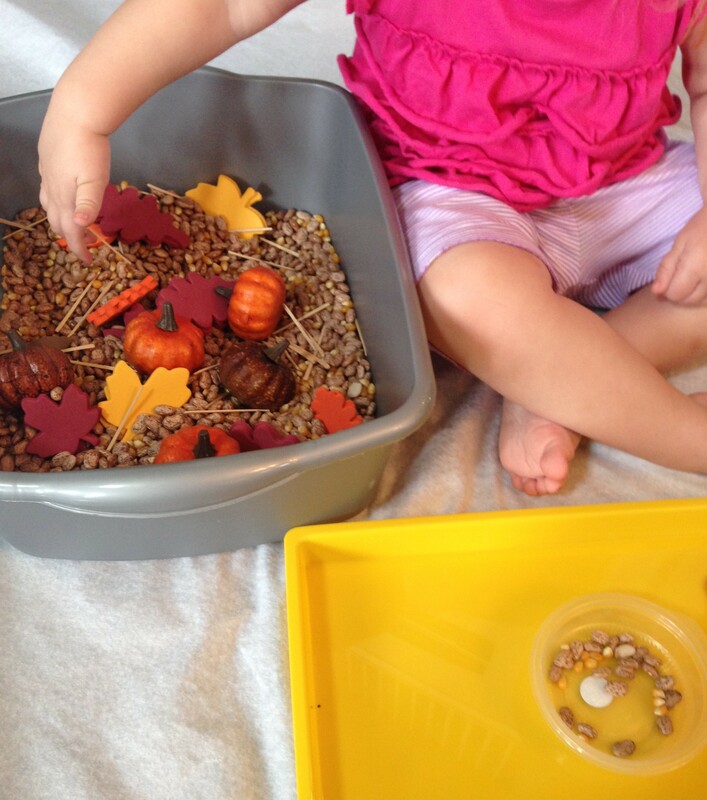 She also asked for a tray to assist in her sorting. Total Play Time for Becca: she didn’t play at this one as long – only about 10 minutes. I think when I give it to her today, I’m going to help her pull out the toothpicks… and then I bet she’ll play with it for much longer. Those durn toothpicks!